I recently received an email from a reader who is interested in American game show host Chuck Woolery and his family. The reader asked for some background on Woolery and his family. TV Banter is always happy to oblige reasonable requests from readers. "Chuck ranks up there with the all-time masters of game-show hosting, the Tom Kennedys and Bill Cullens." - David Schwartz, coauthor of The Encyclopedia of Game Shows. "A guy called my smarmy once. I had to call him up and ask him what it meant." Charles Herbert "Chuck Woolery" Chuck Woolery was born on March 16 1941 in Ashland, Kentuky. His father. Dan, who died in 1969, was the owner of a fountain-supplies company and his mother, Katherine, was a homemaker. The family also included Chuck's older sister, Sue, who is described as a nursing assistant in an October 28, 1991 People magazine article by Tim Allis. Chuck Woolery aspired to a career in the music industry, but enlisted in the United States Navy instead. After completing two years of military service, the young man returned to his home state of Kentucky and attended Morehead State University where he studied economics and sociology, In the early 1960s, he worked as a sales representative for Pillsbury and as a consultant for Wasserstrom Wine in Columbus, Ohio. 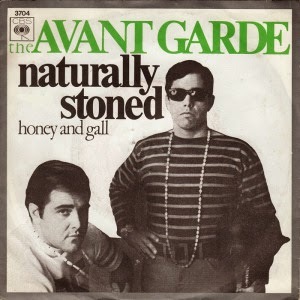 Music was still in his blood, however, and he headed for Nashville, Tennessee where, in 1967, along with Elkin "Bubba" Fowler, he formed a psychedelic pop duo called The Avant-Garde. Backed by different session musicians, Woolery and Fowler released three singles for Columbia Records: "Yellow Beads," "Naturally Stoned" and "Fly With Me." 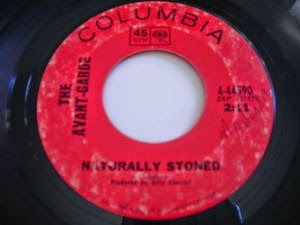 In mid-1968, their recording of "Naturally Stoned," reached Number 40 on the Billboard Hot 100 charts. The group disbanded after "Fly With Me:" and never released a full album. Elkin "Bubba" Fowler went on to a career as a folksinger and played bass for Leonard Cohen. Meanwhile, Chuck Woolery struggled in his attempts to establish himself as a country singer in Nashville. His fortunes did not change until he move to Los Angeles at the urging of comedian Jonathan Winters. Winters, who had been impressed with one of Woolery's solo recordings, offered him a spot on The Tonight Show . . . with Johnny Carson, which finally took place in 1974. In the 1970s, Chuck Woolery dabbled in acting. In 1973 he appeared in an episode of Love American Style, portraying Mr. Thompson in a segment called "Love and the Crazy Comrades" (Season 5, Episode 6, Air Date: October 19, 1973). He played the role of a tennis pro in the 1978 television move A Guide for the Married Woman, starring Cybill Shepherd. He also appeared in two big screen movies as pilot Rogers in the 1974 film Sonic Boom and as a detective in the 1975 film The Treasure of Jamaica Reef (also known as Evil in the Deep). In March of 1974, while co-starring as Mr. Dingle on New Zoo Revue, a children's television show, Chuck Woolery appeared on the TV game show Tattletales with his then-wife, Jo Ann Pflug. In the summer of 1974, he was was featured as a vocalist on a short-lived revival of Your Hit Parade. His big break, however, came when he caught the eye of television host and media mogul, Merv Griffin, due to his performance on the The Tonight Show. When Woolery sang "Delta Dawn" on Griffin's talk show, it seemed as if his career as a vocalist had finally taken flight. Griffin, however, was interested in Woolery as the host of a new game show he was developing called Shopper's Bazaar. Although Shopper's Bazaar never got off the ground, it was given a makeover and a new title, Wheel of Fortune. On January 6, 1975, Wheel of Fortune debuted on NBC with Chuck Woolery as host and Susan Stafford as his assistant (a role later performed by Vanna White). The word puzzle game soon became one of daytime television's greatest hits. It was so successful that Woolery asked for salary parity with Richard Dawson, the host of Family Feud. When NBC offered to pay Woolery the extra salary, Merv Griffin became so upset that he threatened to move Wheel of Fortune to CBS. No compromise could be reached and Griffin decided to fire Woolery. His last show was televised on Christmas Day, 1981. 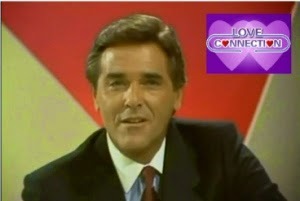 Chuck Woolery went on to host several other game shows, most notably Love Connection from 1983 to 1994. Love Connection was a variant of The Dating Game in which singles attempted to find a compatible match or "connection." Love Connection was one of the biggest game show hits of its era and it boosted Woolery's career. While hosting the show, he began using his trademark phrase, "two and two," meaning that the program would return after a commercial break of two minutes and two seconds, the regular length of of a break back then. Woolery also hosted such game shows as The Big Spin (1985), Scrabble (1984-1990), The Dating Game (1997-1999), Greed (1999-2000) and Lingo (2002-2007). In 1991, he had his own daytime talk show, The Chuck Woolery Show, which only lasted a few months. It was broadcast at 9 o'clock in the morning and faced stiff competition from Live With Regis and Kathie Lee. The father of six children, Chuck Woolery has been married four times and divorced thrice. In 1961, at the age of 20, he wed a woman named Margaret Hayes. The couple raised three children: adopted son Cary, who is now about 56 or 57 years old; daughter Katherine (known as Kitty), who is now about 48 or 49 years old, and another son, Chad,, who is deceased. In January of 1986, 19-year-old Chad was killed in a motorcycle accident in Brentwood, California when his vehicle crashed into a median. He died instantly. Woolery told People magazine that his son "liked to sing and play the guitar. He wanted to be an actor. He loved girls and all sports. He loved me and I loved him. When Chad died, I was crushed. Something died with me that could never be replaced." On the day he picked out his son's casket, the grieving father went to work hosting Scrabble in order to keep his mind off the tragedy. Chuck Woolery's second wife was actress Jo Ann Pflug, with whom he shares a daughter, Melissa. Pflug, who is now 74 years old, is best known for her role as Samantha "Big Jack" Jack in the hit 1980s TV series The Fall Guy, starring Lee Majors. She and Woolery married in 1972. They announced their plans to divorce in early 1982. In May of 1982, Pflug told The Pittsburgh Press that "Chuck and I are happier being divorced friends than married enemies." Melissa, who was six when her parents' marriage ended, is now about 38 or 39 years old. 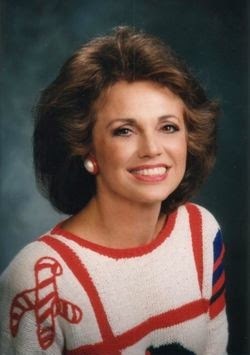 Chuck Woolery's third wife was Teri Nelson, the stepdaughter of the late actor/producer/director David Nelson, son of famed television stars Ozzie and Harriet. Woolery and Teri Nelson were married from 1985 until 2004. They had two sons, Michael (who is now about 25 years old) and Sean (who is now about 21 years old). On July 17, 2006, Woolery wed his current wife, hair stylist Kim Barnes, a native of Michigan. The marriage took place at the Bellagio Hotel in Las Vegas, Nevada. It was a private ceremony for family and friends. * Chuck Woolery was raised a Presbyterian and is now a born-again Christian. * Woolery is politically active in support of right-wing conservative causes. He is a staunch Republican and a gun rights activist. In a 2012 interview with journalist B. Christopher Agee, founder of The Informed Conservative, Woolery described himself as a "constitutional conservative libertarian" and he declared that he thinks "Conservatives are right, and Liberals are wrong." * Woolery has been an avid fisherman since childhood when he accompanied his father, Dan, an outdoor enthusiast, on fishing trips. I truly loved the information about my favorite and former and handsome and beautiful looking game show host chuck himself I truly think that he made an effort to do what he done best being a music star / game show host turned dad and I loved the way he expressed himself with everything that he did back then god bless him always and thanks Joanne for posting this for me too amen! love your new reader and fan Anne-Marie m. gething. chuck woolery fan and supporter of 30years. amen! thanks chuck for the wonderful memories too love u alots amen! It's too bad that the salary dispute led to Chuck's dismissal from Wheel of Fortune. Chuck and Susan Stafford were a perfect match on screen. I remember watching the Chuck Wollery era of Wheel of Fortune as a child back in the 70's and liking the show. I think Chuck Wollery and Susan Stafford gave Wheel of Fortune a greater level of energy and charisma than Pat Sajak and Vanna White do. Chuck was good on anything he did, especially Love Connection, but it's hard to argue with Pat and Vanna's longevity. 4 wives-- and to hawk every snake oil product coming on the market??? I agree with the above. He's had kids with three different women. Hard to take him seriously as a social conservative. I used to respect him. But his political views I totally disagree with esp with all his marriages. My god you people are lost, he has had four wives omg! !, that makes him a monster right! I was just wondering what happened to good looking Chuck. It seems as though he just disappeared from earth. 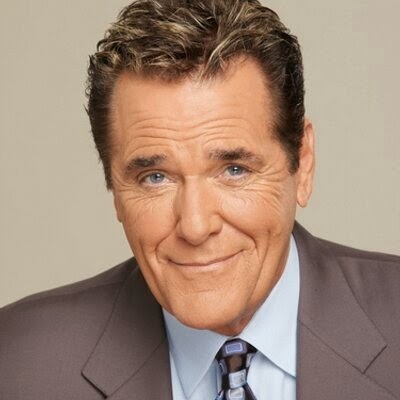 Chuck Woolery is a genuinely good guy, as two of my friends say about working with him and for him on The Love Connection back in the 90's. They say Chuck also wasn't trying to set any modern records for marriages and divorces, but if that's what people think, so be it. Chuck is actually quite religious and takes his promises very seriously. Plus he hasn't divorced anyone so far this year!!! Give the guy a break. He's a very responsible dude. Even Jo Ann Pflug is quoted as saying that. I have always admired Chuck Woolery and thoroughly enjoy watching him nowadays on reruns of the television game show Lingo. Please keep the show coming. In 1966 Chuck sang with a folk trio called The Bordermen around the tri-state area of Ashland,Ky. He played the bass fiddle. They performed in the gym of our local high school, Paul Blazer High School, for the students. Friends from his hometown have admired his success. That's awesome!! I am from West Portsmouth Ohio! Not far from Ashland at all! Beautiful area! I have also married four times.Of course if I had it to do over, I would simply marry the last wife first !!! She is so perfect.Perhaps I am improving as well.I totally understand and wish them a happy marriage ! And many years together ! The man lost a child; something no parent should ever have to endure. Let's say a prayer for him, and understand that may be the reason for the four wives. Not an excuse; but the reason . Happy Birthday to one of Chuck's friends, the one and only Elvis. Growing up my family watched any show he hosted. My mom always thought he was so handsome. I follow him on Twitter. His politics are spot on. I seem to remember reading that Chuck had a problem with alcoholism when he was younger. Untreated alcoholism destroys relationships, thus leading to his three failed marriages. Couple that with the stress of working in television and ultimately losing his son and Chuck cheating death himself from a near heart attack and undergoing open heart surgery. Chuck gave up smoking and drinking, remarried, and simplified his life. There are those who'll mock his conservative views and think he's a monster for his divorces, but Chuck is a genuine kind of guy. He's not some wishy-washy, flip flopping of standards kind of guy who dosen't backtrack on what he says. He will always be remembered as a very likable, handsome and enjoyable host with a ton of charisma; something of which no game show host nowaday's has.